Eating Disorder Recovery Coaching involves supporting clients Holistically through their individual recovery process from Dysfunctional Eating. Using the five principles of Eating Disorder Intuitive Therapy, clients are guided through a process designed to reconnect them with their intuitive self, make peace with their relationship with food, tune-in to individual needs, and regain access to their innate desires to live a full life in positive connection with the self and with food. My style of ED Recovery Coaching is strongly guided by the client’s individual goals and needs. As I am also a Holistic Nutritionist, I combine nutritional teachings and meal planning support with, not only, the EDIT techniques, but with my training in Eating Psychology, to provide a whole hearted and all-encompassing approach. I will always meet the client where he/she is at in their Recovery process and we then, work our way forward, together. I make myself as available as possible to my clients so that they can genuinely feel supported and guided, and so that they know they’ve got someone right there in their court rooting for them! 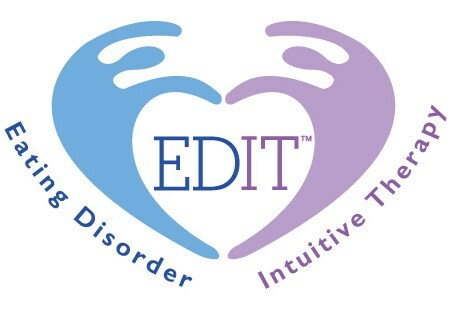 EDIT™ has been used for more than 20 years to help people overcome eating disorders. EDIT™ has applications for all types of eating disorders: Anorexia Nervosa, Bulimia Nervosa, Binge Eating Disorder, and other types of addictions. Note: EDIT™ treatment is not focused on medical stabilization — this method guides clients to decipher the “messages” of their eating disorders by becoming curious about their underlying cause. EDIT™ techniques offer interventions to reduce eating disorder behaviours, but true symptom resolution is a natural outcome when clients address the root cause of their eating disorders. As EDIT™ treatment progresses, holistic healing occurs at all levels of the True Self — physical, mental, emotional and spiritual. EDIT™ is a certified therapy designed by Dr. Dorie McCubbrey in 1995 and has been a successful method of practice for over 20 years.